Doug is the current VP of Technical Marketing with CloudBerry where his responsibilities are to help build a community around their products and solutions. 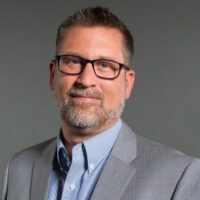 Previously to CloudBerry, Doug spent over 9 years as the VP of Product Strategy and Chief Evangelist at Veeam Software which specializes backup and management of virtual infrastructures. Prior to joining Veeam Doug was a consultant within the Advanced Infrastructure Group at Bennett Adelson. Doug has over 12 years experience in the IT industry in areas such as IT Infrastructure, Active Directory design, Exchange management, Active Directory and Exchange Migrations, Identity Management, help desk management, consulting and product management.